It has been a really long time since I did a review on klenspop and today I am back a review of two of their lenses. I have been wearing lenses from klenspop for more than a year now and I can say for sure that their lenses are really comfortable and safe to wear in the long run. This is a really backdated review as I went overseas before I received this package from klenspop. My parents kept the package for me until I was back but they eventually forgot to pass it to me. I accidentally found it in the cupboard at home, hence the really late review. Still, I have been trying out these two pair of lenses for about a week now and I absolutely love both, especially the purple one. As I have mentioned before, Klenspop are based in Korea and they provide a wide range of authentic circle lenses, at a very affordable price. When buying circle lenses, it is really important to choose one that is reliable as we only have one pair of eyes. That is why I only trust Klenspop when it comes to purchasing circle lenses. Let's get to the review! 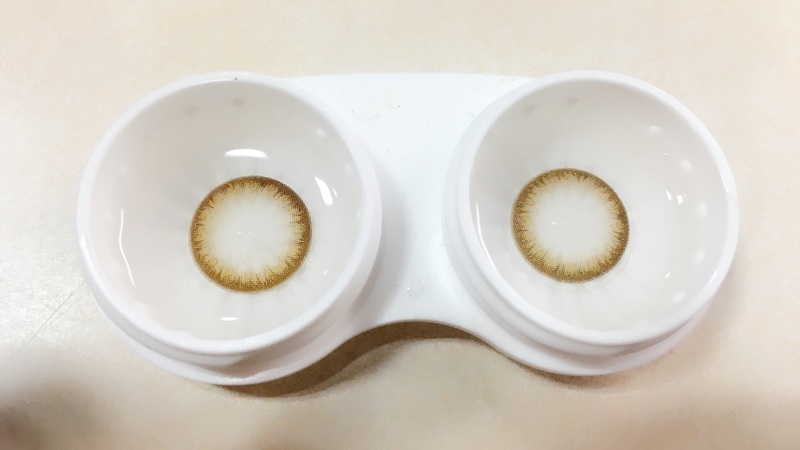 This is how the lenses look like in the solution. As you can see, the design is really intricate and it pretty much covers your whole iris to give a gorgeous dark purple. These are how the lenses look in my eyes, under natural lighting. You probably can tell why I love these so much. The design of the lenses really does show up in your eyes. You can probably tell how sparkly these lenses made my eyes look. These are how the lenses look under room lighting. Extreme closeup of the lenses in my eyes, under natural lighting. Design - The design is absolutely gorgeous. It makes your eyes naturally purple, not too obvious or too natural. Most importantly, it makes your eyes sparkle. I personally love lenses that make your eyes brighter and these does the job really well. Enlargement - These are 14mm lenses, which is the perfect size for me. It is great for people looking for a natural enlargement. They are not too alien looking so I think it would be just nice for most people. These lenses enlarge a bit more than the other one I am about to review, even though they are both 14mm lenses. The black rim around the outer corner of the lenses make it more enlarging. Color - the color of these lenses are definitely noticeable. It turns your eyes into a dark and sparkly purple. Comfort - I have been wearing these a lot and they are very comfortable to wear. I had no problems having them in for 6 hours. Shipping - Shipping is really affordable at $5.50 USD(it is free if you spent more than $60 USD). 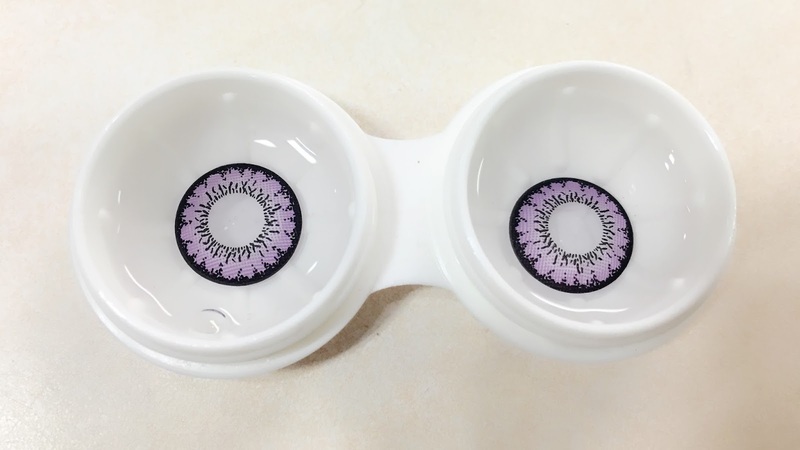 These are how the lenses look in the solution. It's a very natural yet pretty shade of brown. These are how the lenses look in my eyes under natural lighting. An extreme close up of the lenses in my eyes. Design - It is very simple and natural pair of circle lenses. The design makes your eyes look naturally brown. 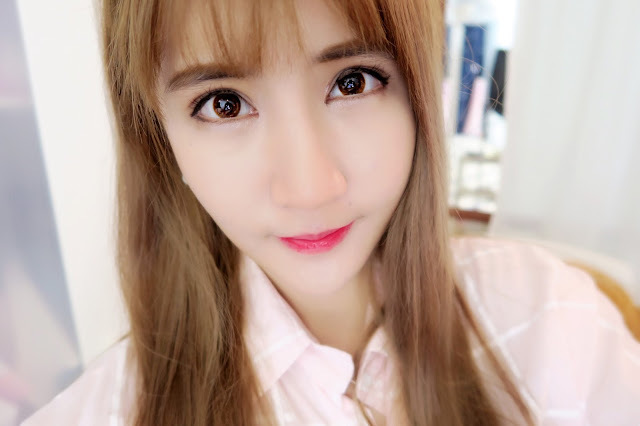 I think it is great for school or work, or for people who look the natural look or don't want people to know that they are wearing circle lenses. Enlargement - The enlargement factor for these lenses are on the lower end. I think they don't enlarge your eyes that much and it is great if you don't really want people to know you are wearing circle lenses because they just look sooo natural. It's perfect for school or work. Color - The lenses turn your eyes into a natural dark brown and it feels almost like "my eyes but better". Comfort - I haven't been wearing these as much as the purple ones, but as far as I can tell, they are also pretty comfortable to wear daily. I hope you guys enjoyed review and let me know if anyone of you purchased these lenses. I look them both but I find myself grabbing the JEJE purple more because it makes my eyes much bigger and brighter. Hope you guys found this review helpful.